Last year I started a tradition of making a wreath from garden materials. This holly was leftover from the wreath making described in the previous post. I think the wreath looks like it still needs something. Pine cones perhaps? I recently learned holly is an invasive species in Western WA. I knew that Ivy was invasive, but I was surprised about holly. Are these plants invasive in your area? 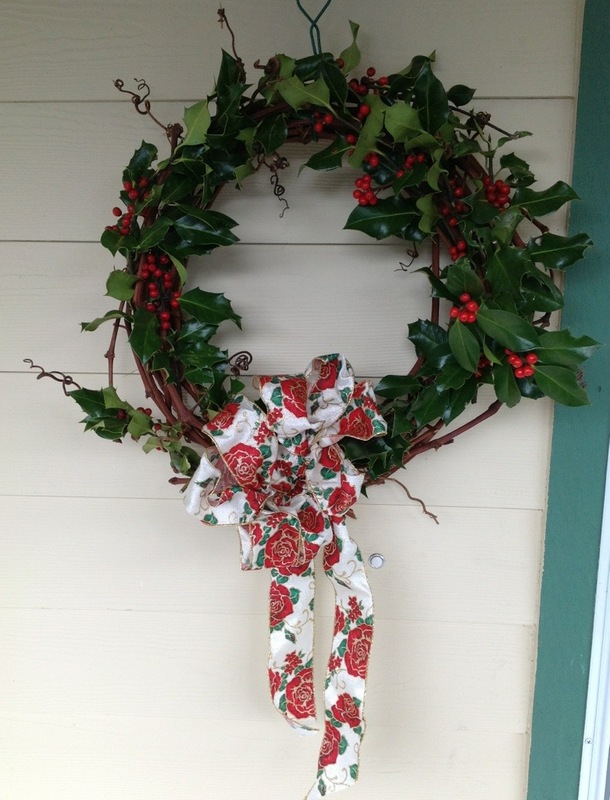 I found a helpful blog post if you are interested in making your own decorative wreath. What a great idea Elena! I love this wreath! A few pine cones would make a great addition.